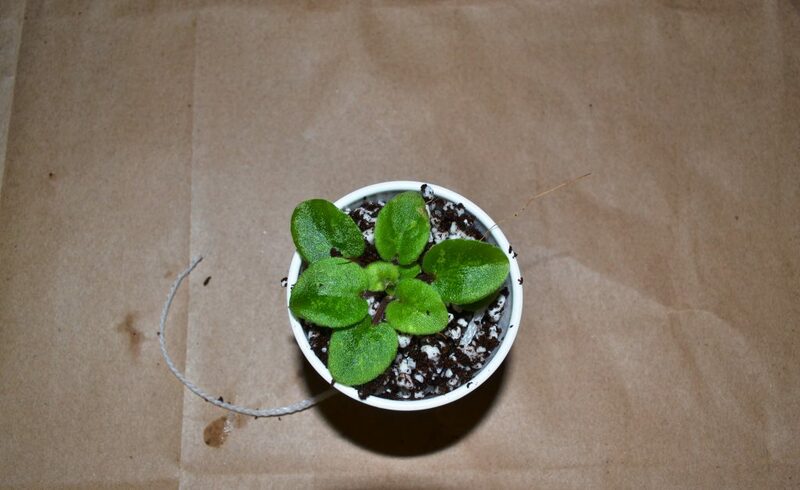 Why wick African Violet plants? 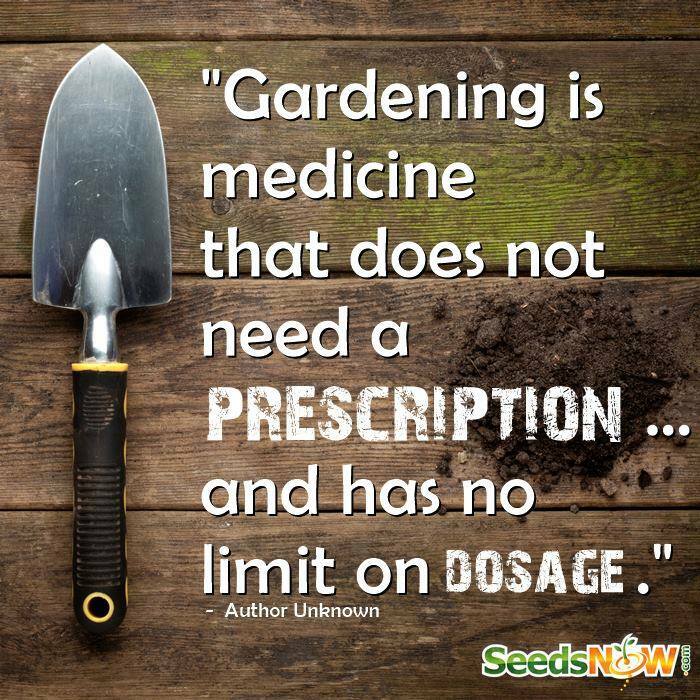 The number one answer to this question would be to save time, especially if you have over 20 plants. 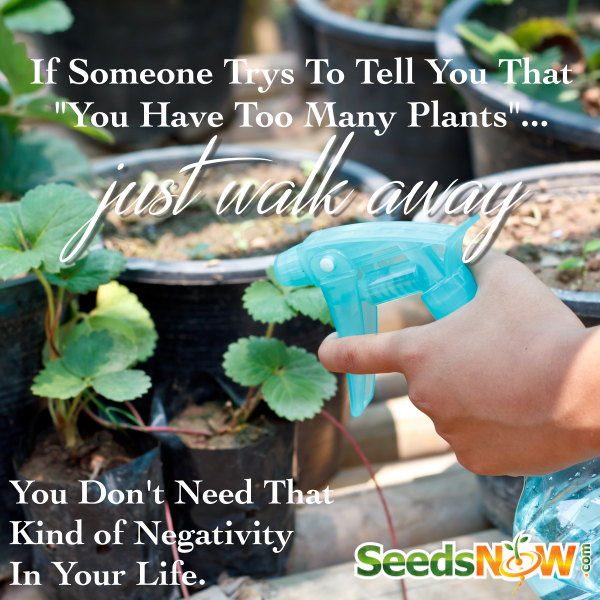 The second answer would be, African Violets on wicks grow faster in my personal experience. 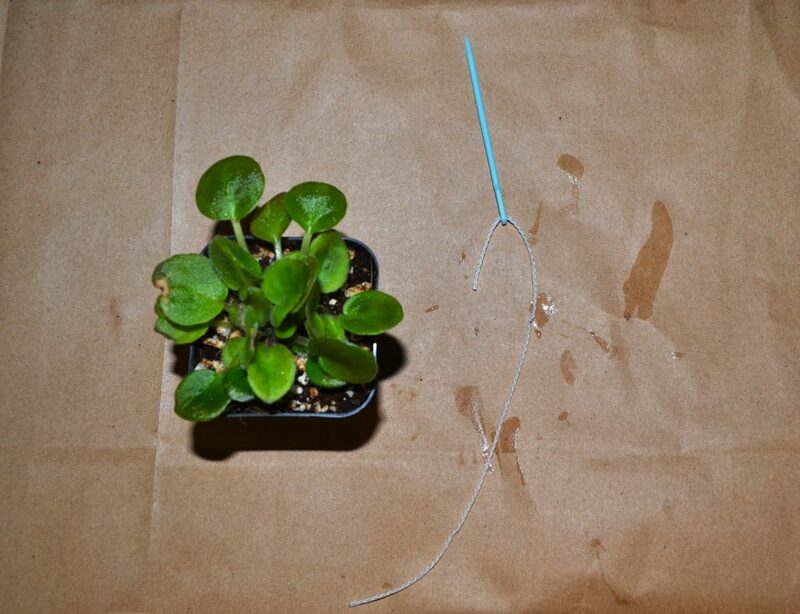 Wick watering (or wicking) provides African Violets with consistent water, humidity and fertilizer. Many times African Violet plants fail to thrive due to under or over watering, whereas wick watering can provide an evenly moist environment potentially solving this problem. 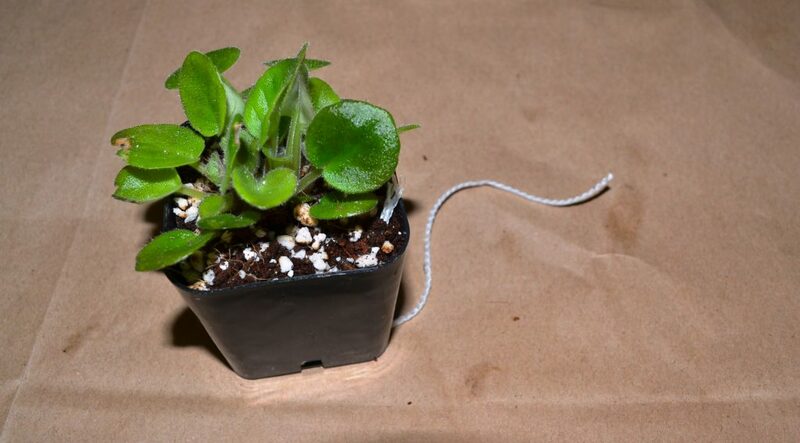 Wick watering also avoids the problem of wetting the leaves of the African violet plant (which usually occurs when top watering the plant) as it provides the correct amount of water required by the plant from below the pot. 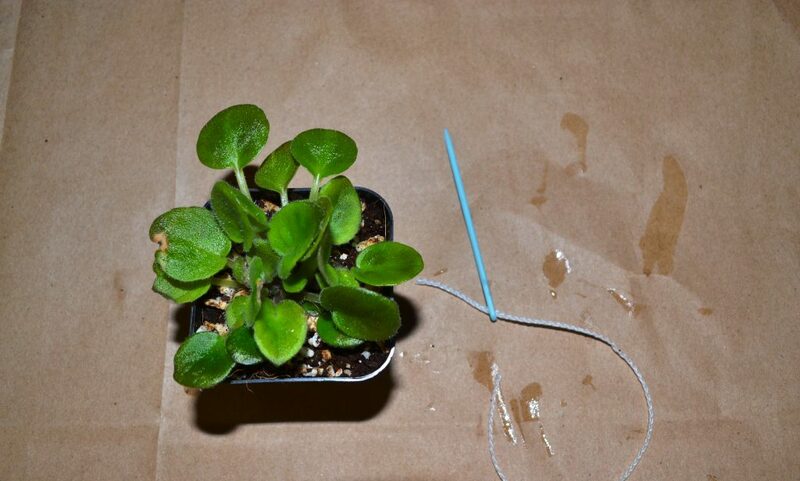 Wick watering (or wicking or wick irrigation) is a watering method for African Violet plants providing consistent water when needed by the plant. 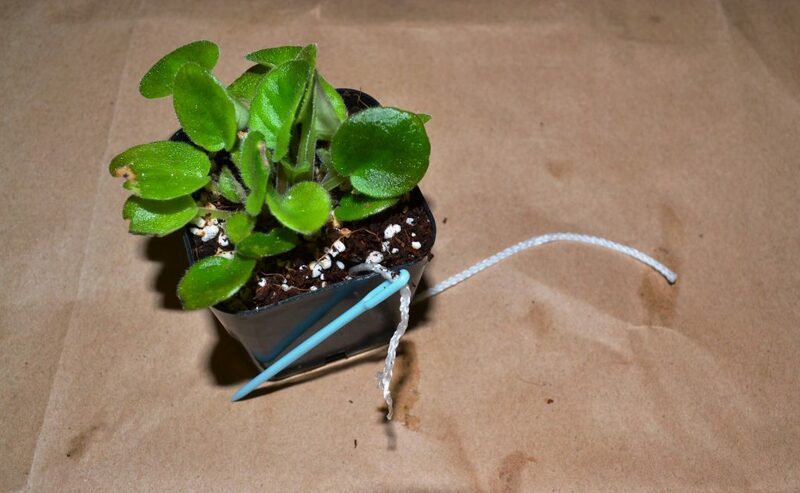 Wick watering can also act as a means to supply fertilizer and create humidity for African Violet plants. 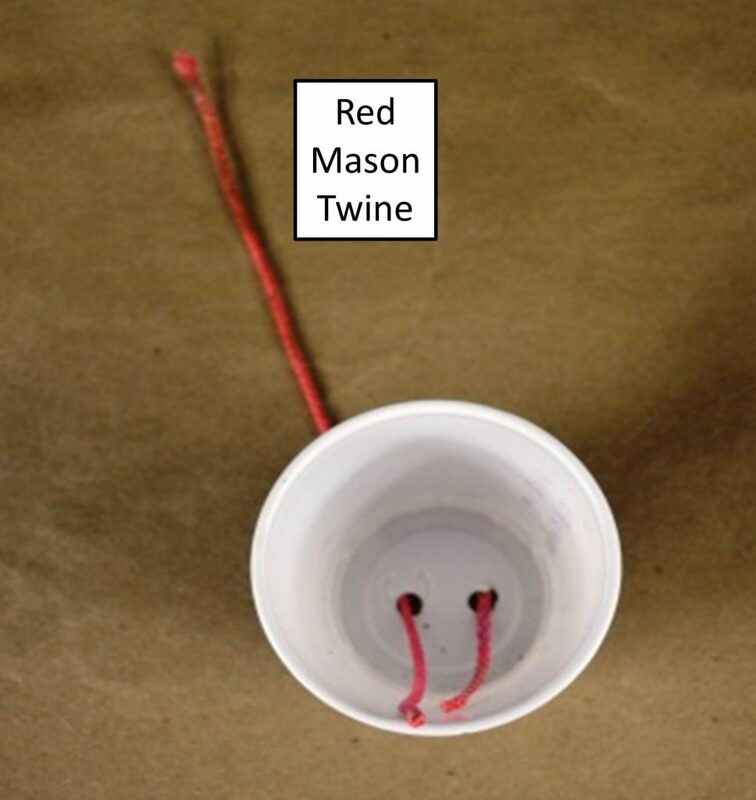 Through the wick, water is absorbed from the reservoir/capillary mat and transported to the pot where is it distributed through the soil and absorbed (i.e. the soil is moistened and the plant watered). How to wick African Violet plants? 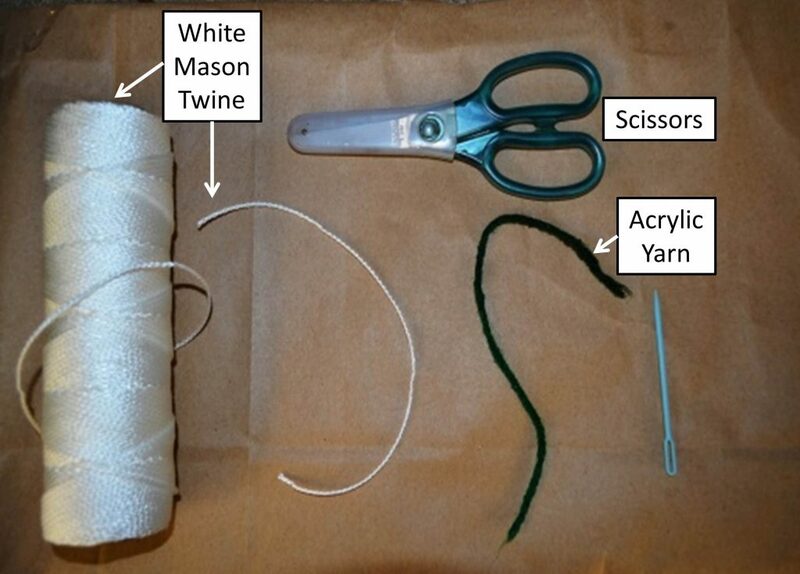 First of all, if you have a number of plants, then try out wicking on 2-3 plants first and then convert all your plants to this system if it works for you. 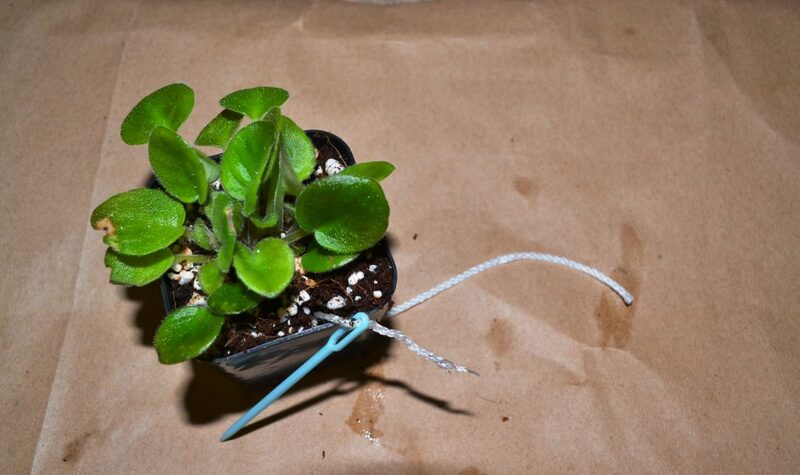 An African violet wicking kit (or wick system) can be found at a local garden supply store or ordered online from Ebay or gardening suppliers. Individual African Violet wicking supplies can also be bought from a store or online instead of purchasing the whole system. 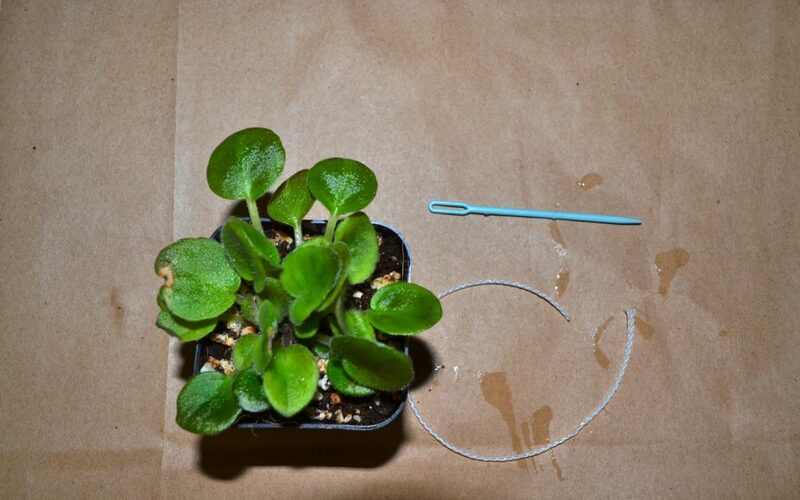 Another easier alternative is to make your own African Violet wicking system. 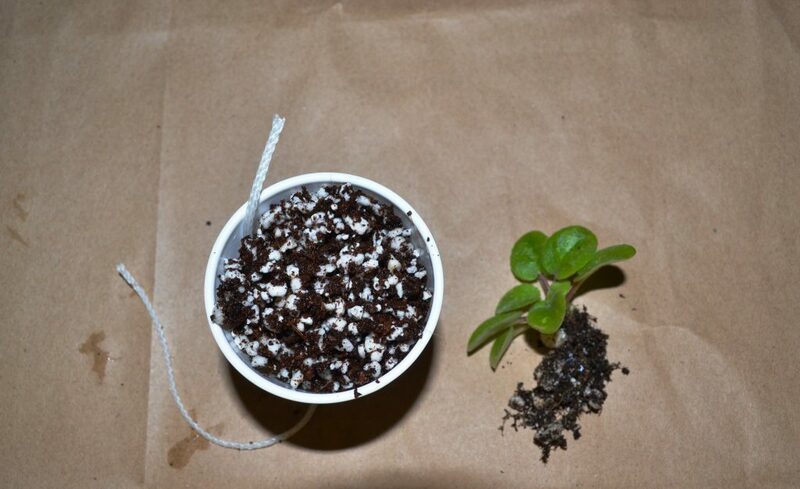 As seen in the picture below, these are the major supplies required for a homemade African Violet wicking system: (this example is for a 3 inch pot in height and 3”in diameter). 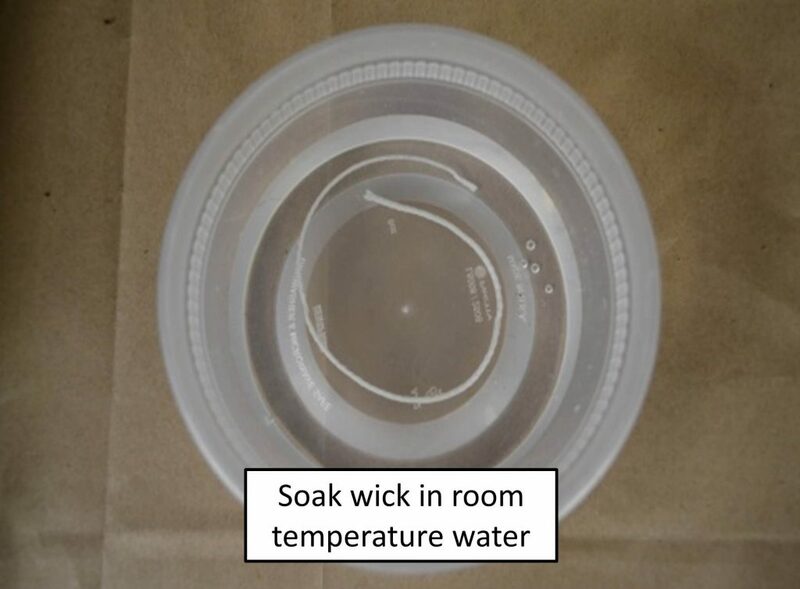 First, cut a piece of wick 6”-8” and soak the wick in room temperature water (as shown below). If the wick material does not readily absorb the water, you can add few drops of soap to the water and soak the wick again. 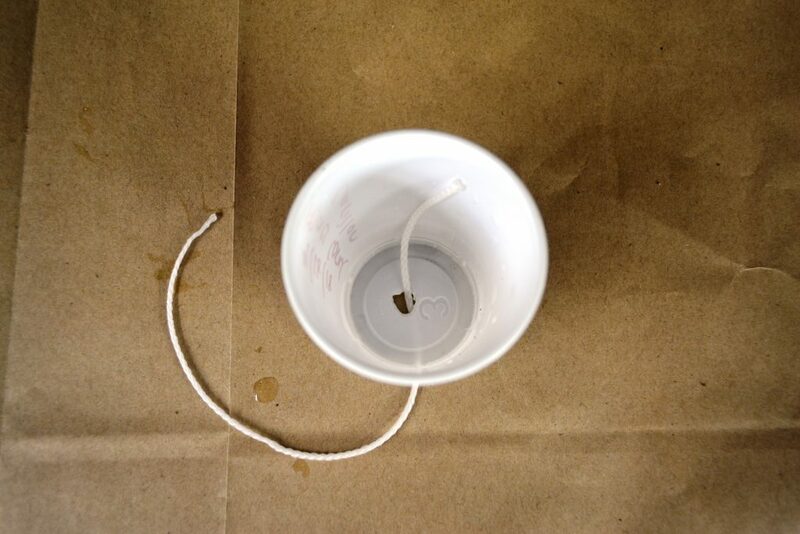 In this example we are using a heavy/thick wick, so one wick per pot is enough for a 3” – 4.5” pot. 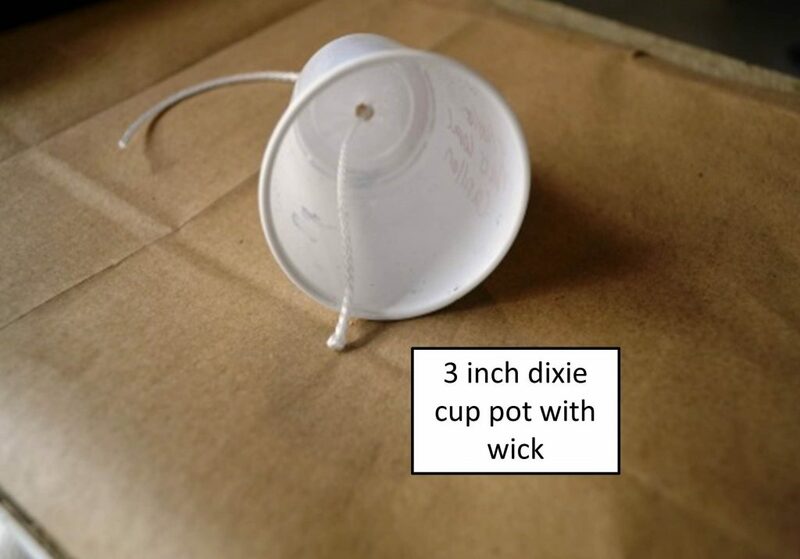 If we used a thin wick, we would insert two individual wicks through two individual drainage holes on either side of the pot, for a 3”-4.5” pot. Finally, fill the pot with potting mix and plant the violet. 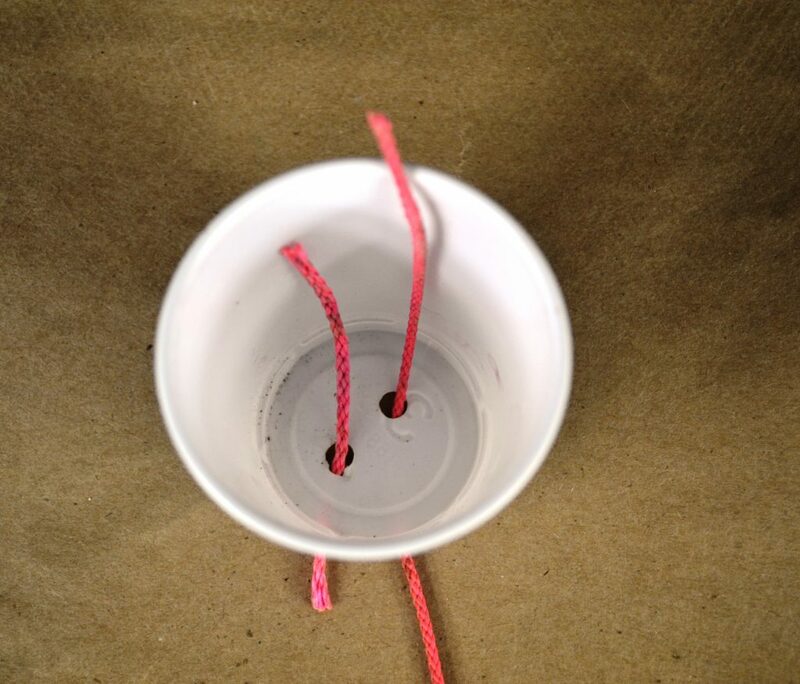 Place the threaded wick at the bottom into a water reservoir, in a way that only the wick hangs in the water and any part of the pot does not touch the water (as shown below). 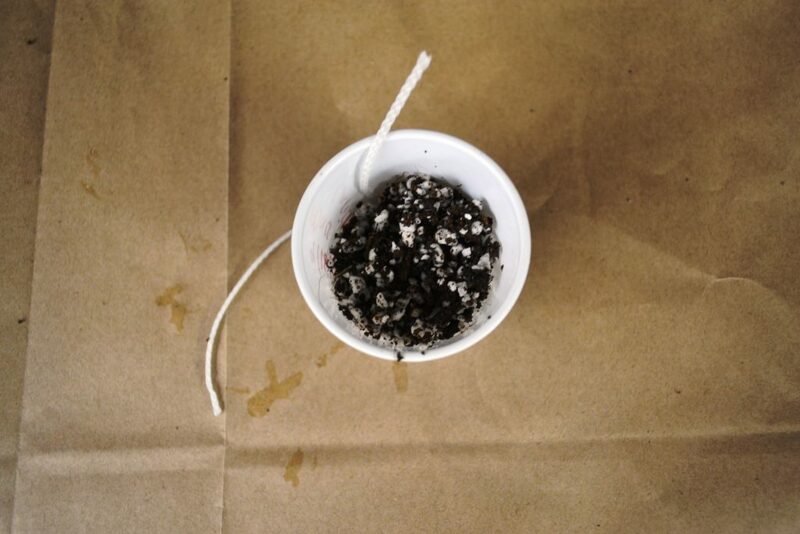 Make sure the pot is not sitting in water (as shown below), otherwise the roots will start to rot due to overwatering. 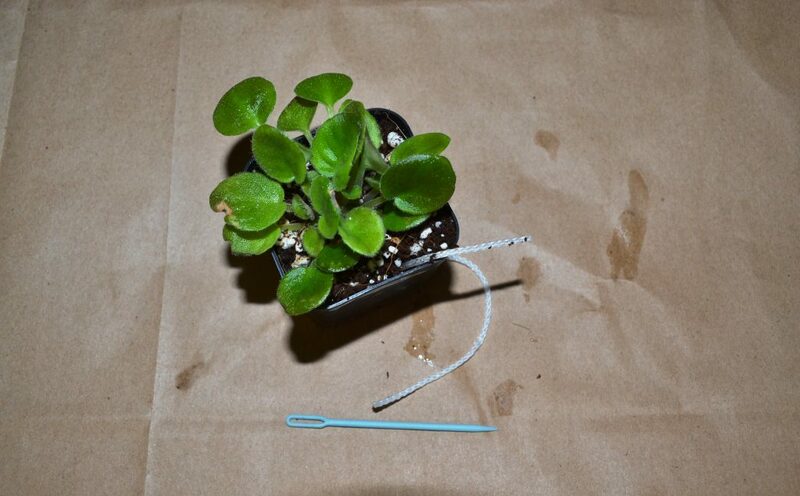 How to wick already potted African Violet plants? If you already have an African Violet plant that is already potted up and comfortable in its own pot/soil. 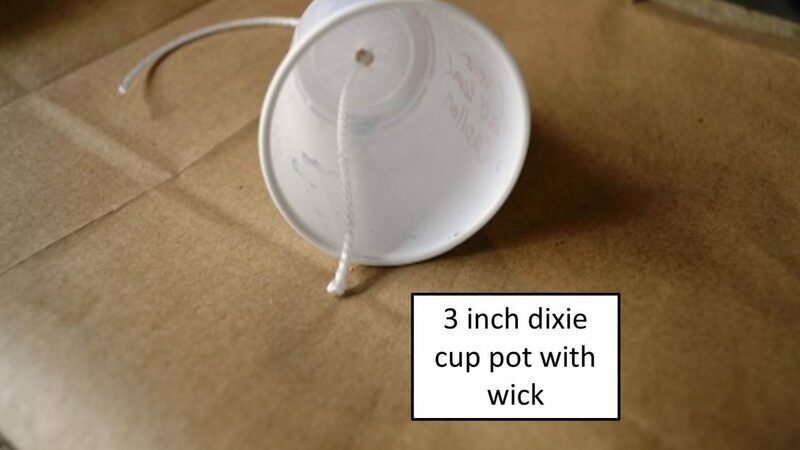 You can also wick this plant with minimal disturbance. 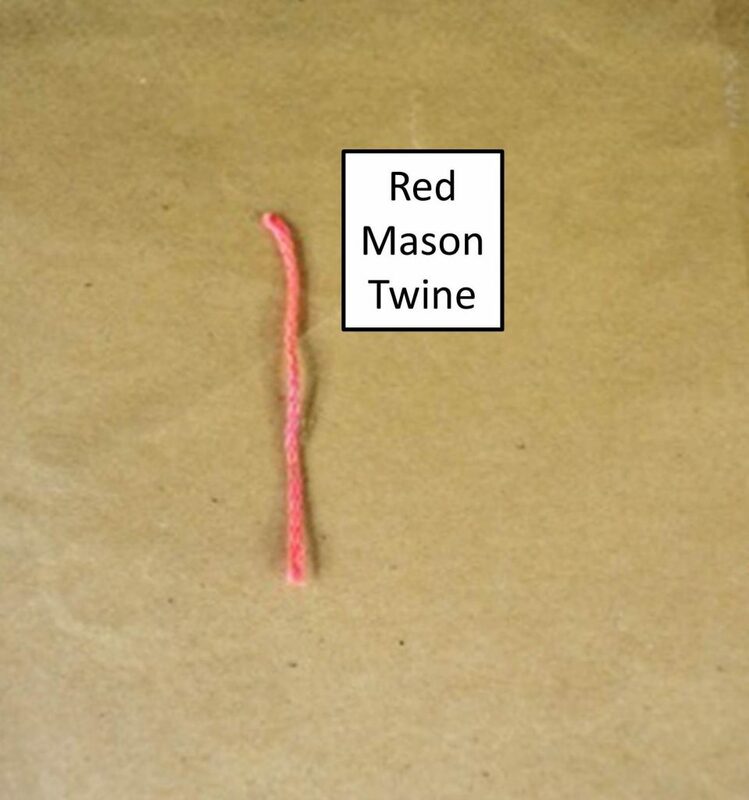 First soak the wick in room temperature water (6-8” in length). If the wick material does not readily absorb the water, you can add few drops of soap to the water and soak the wick again (as seen below). 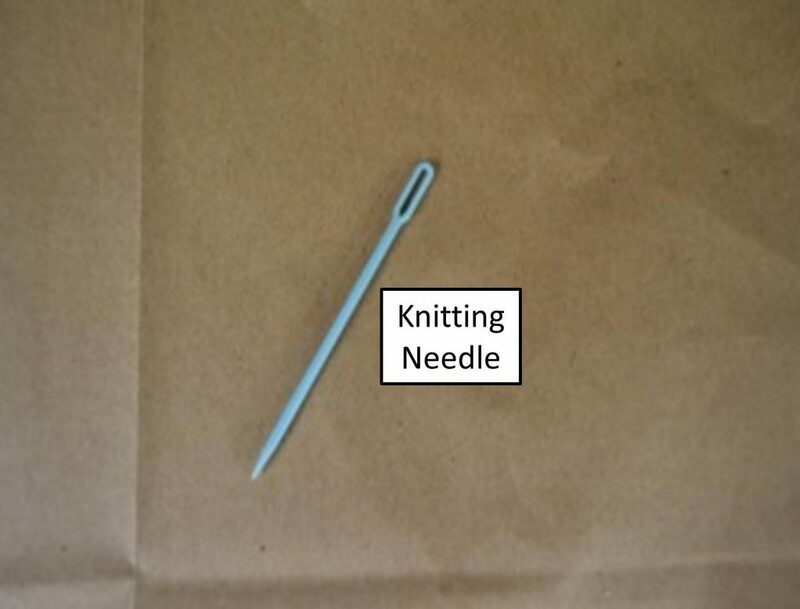 Using a knitting needle or a similar long threading needle, carefully thread the wick by pushing the needle through one of the drainage holes in the pot and gently pull the needle to the top of the pot along with the wick. 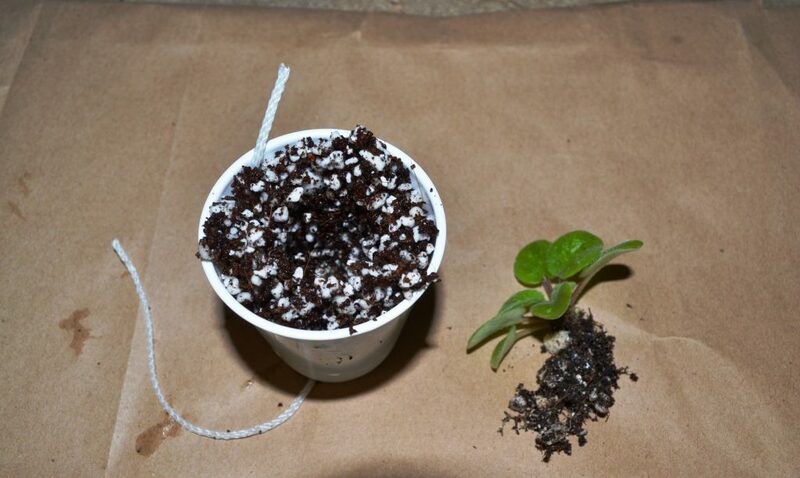 Try to push the needle through a clear area in the soil avoiding tearing through the leaves (as seen below). 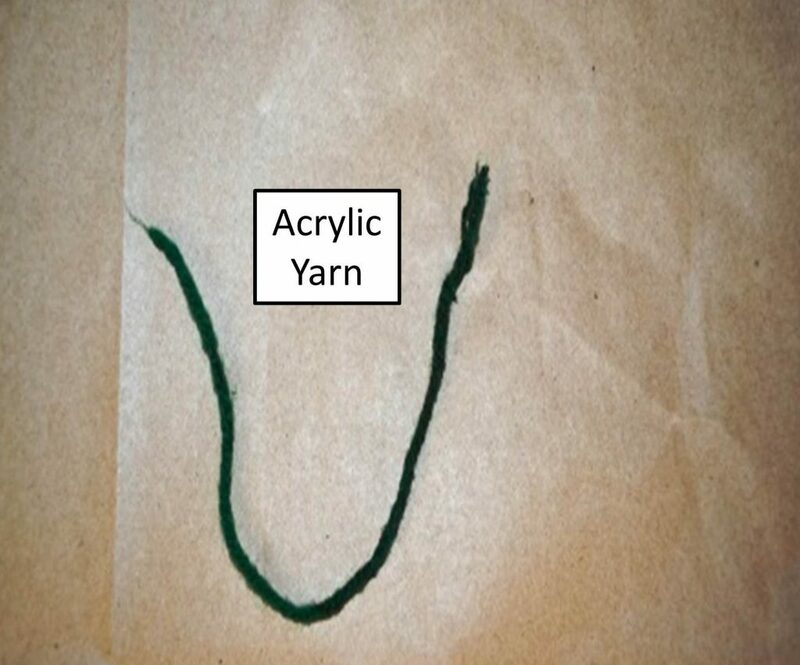 Once the wick is visible at the top, pull 1” of the wick at the top and cut off the needle. 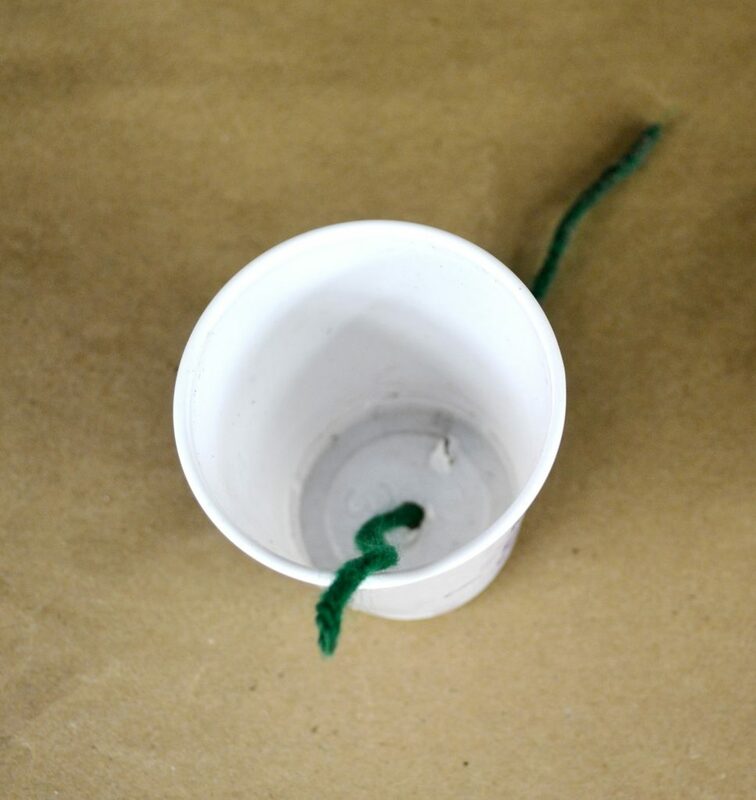 Make sure there is enough wick hanging from below the drainage hole to lay into the water reservoir/container below (as seen below). 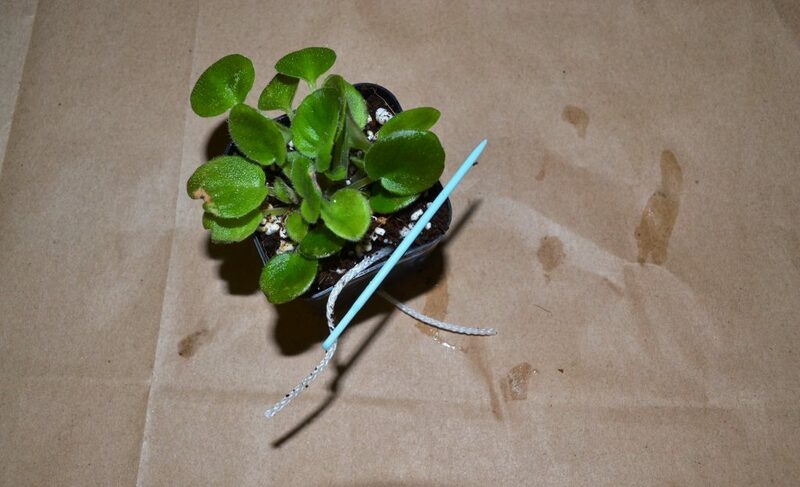 What type of wicks can I use for African Violet plants? 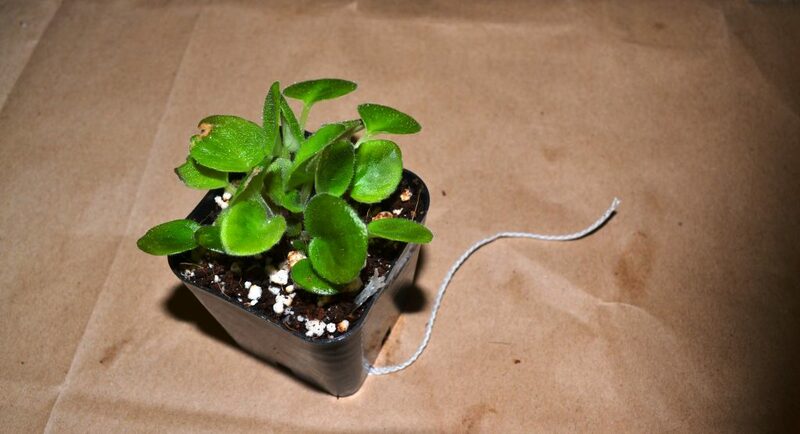 Wicks used in African Violet wicking systems should be made of inorganic /synthetic/man-made/artificial material. 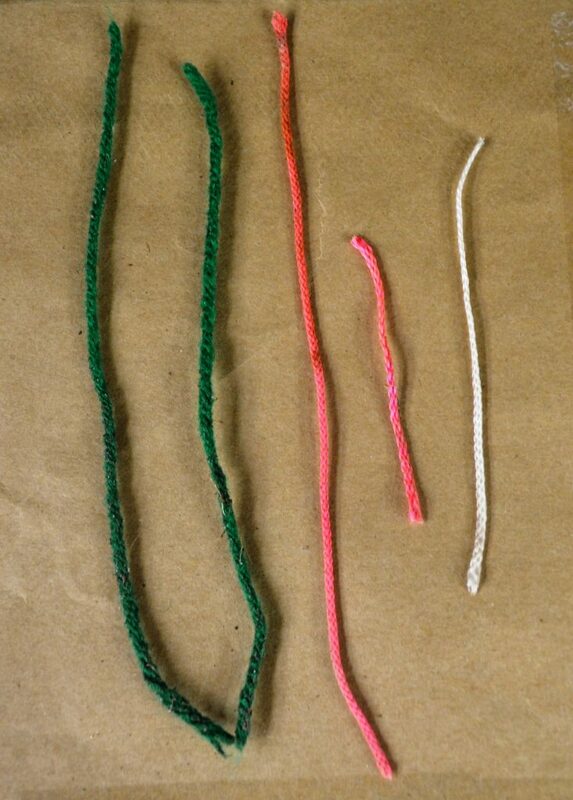 Do not use cotton or wool as these are natural materials and the natural fibers in them are susceptible to rotting. 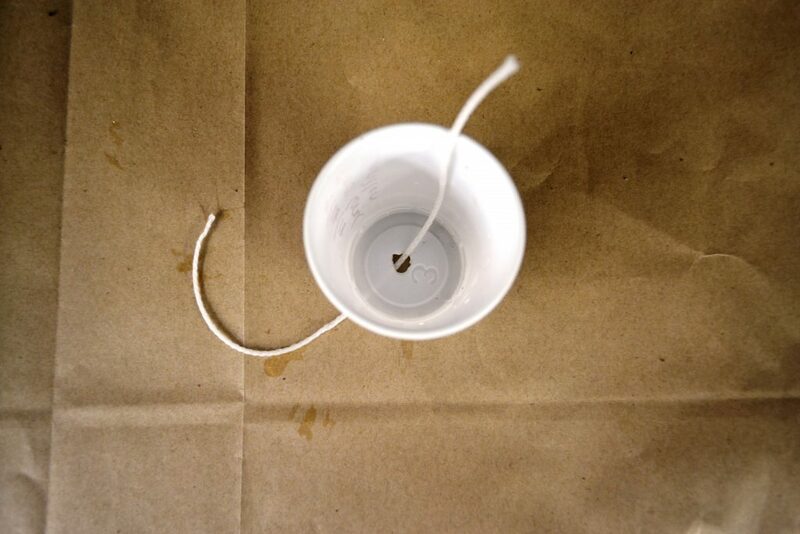 The average length of a wick should be 6”-8” long depending upon the size of the pot. 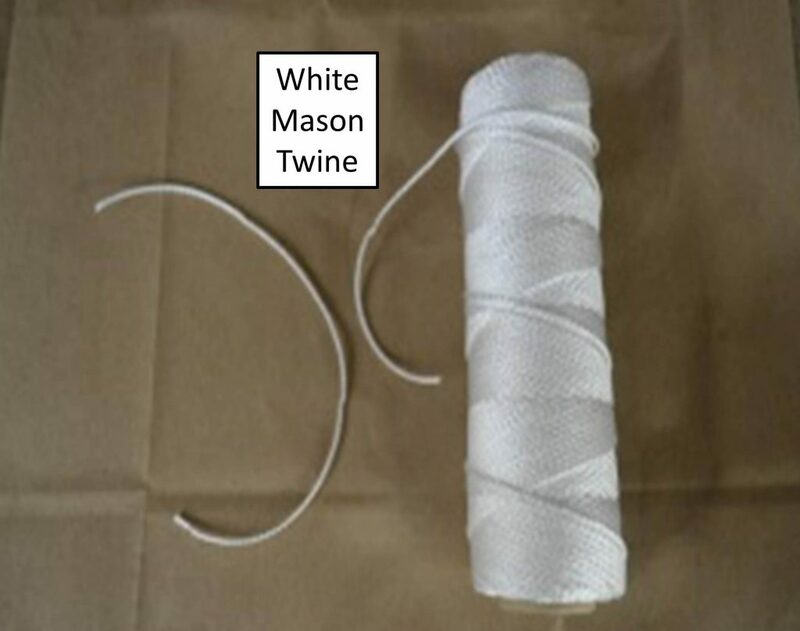 Depending upon whether you are using a heavy/thick or thin wick, use 1 piece of wick or 2-3 pieces of thin wick per pot. 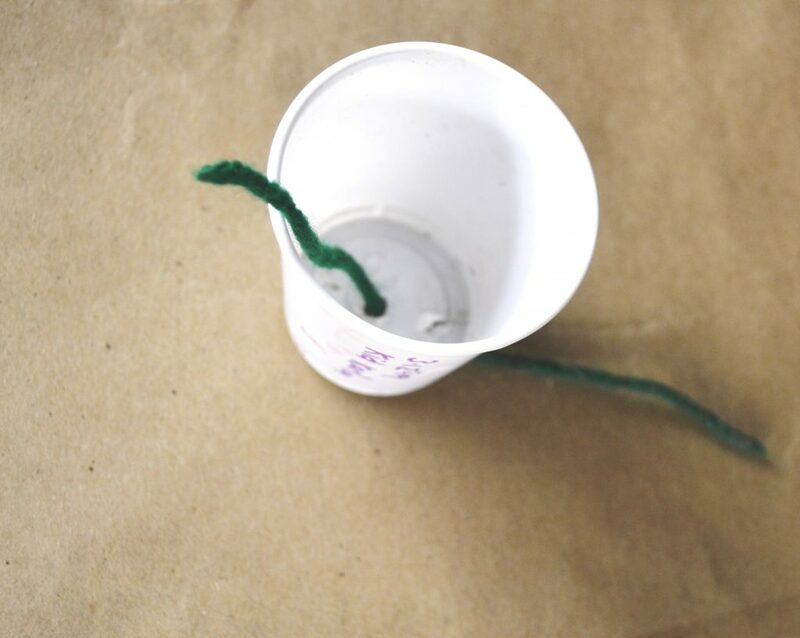 You can also set up an experiment and see the difference between placing 1 wick in the pot verses 2-3 wicks and observe the rate at which the soil is moistened and how long it takes for the reservoir to be empty. 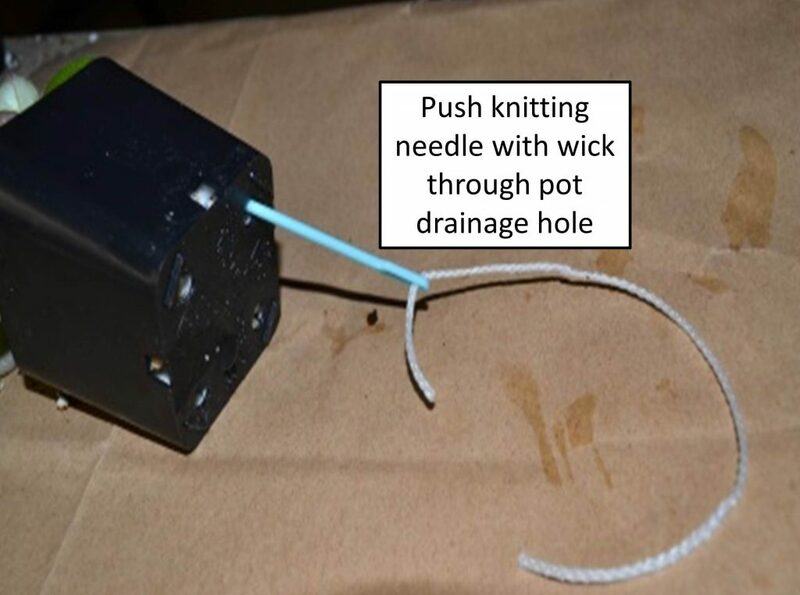 This way you can be entirely sure how many wicks work best for your plant. Replace wicks after 6-8 months of use, as the fibers of the wick material will wear out and lead to inefficient water absorption. Also, soil particles, fertilizer salts and minerals from the water will start building up on the fibers again leading to inefficient water absorption. Potting Mix / Soil to encourage wick watering in African Violet plants? 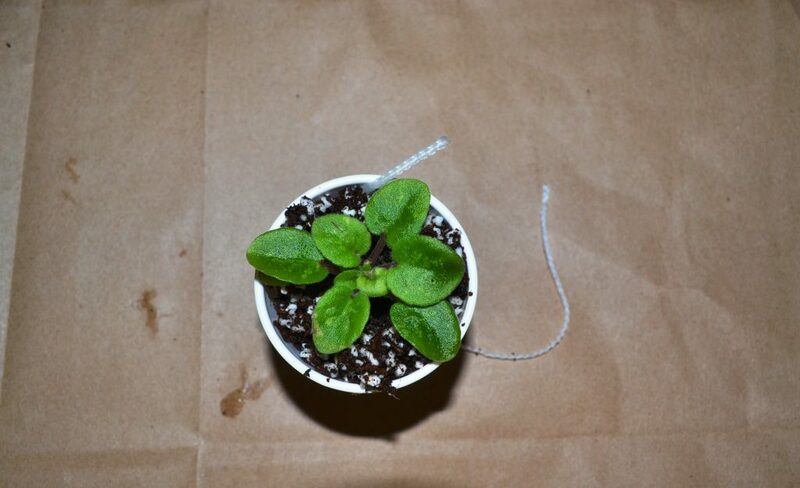 For wick watering African Violet plants, the potting mix / soil should be light and airy. 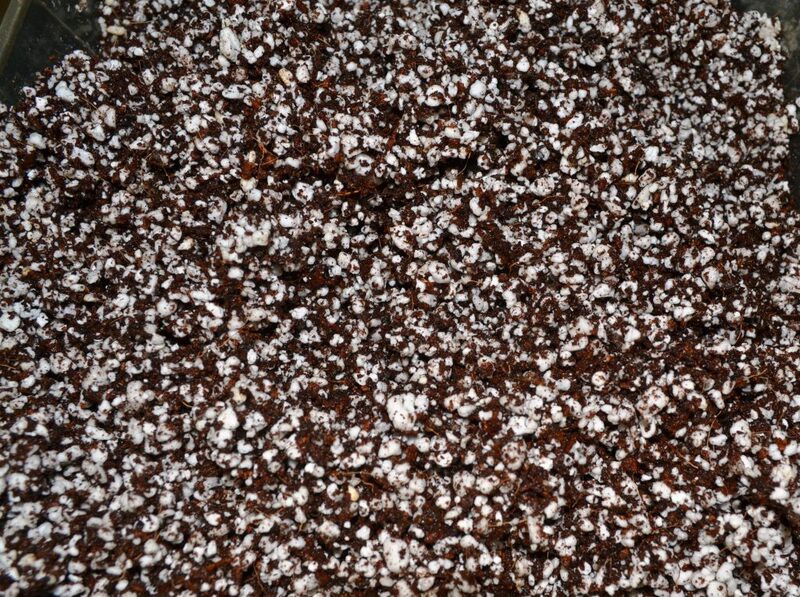 This includes either a soilless mix of only vermiculite/perlite or a light soil mix of at least 50%-75% vermiculite or perlite and 50%-25% peat moss. Type of pot / container for water – wicked African Violet plants? For water wicked African Violet plants, the best pots to use are plastic pots. 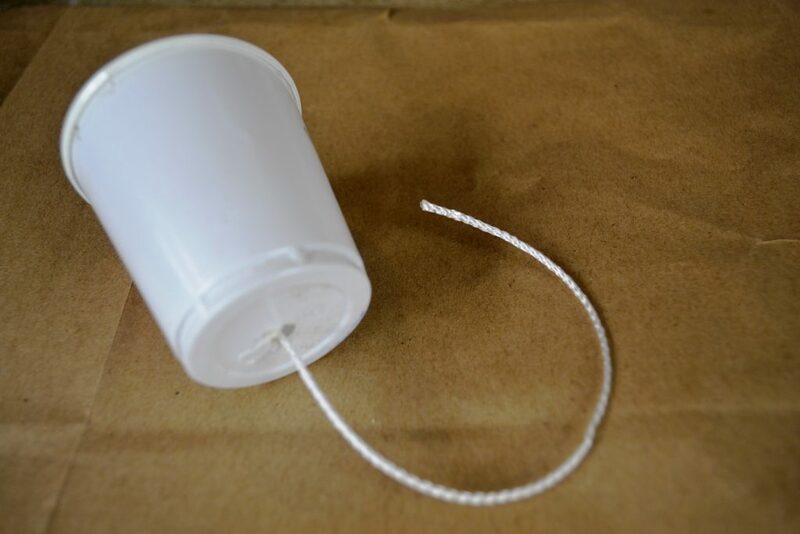 Ceramic pots can also be used, but I prefer plastic pots. 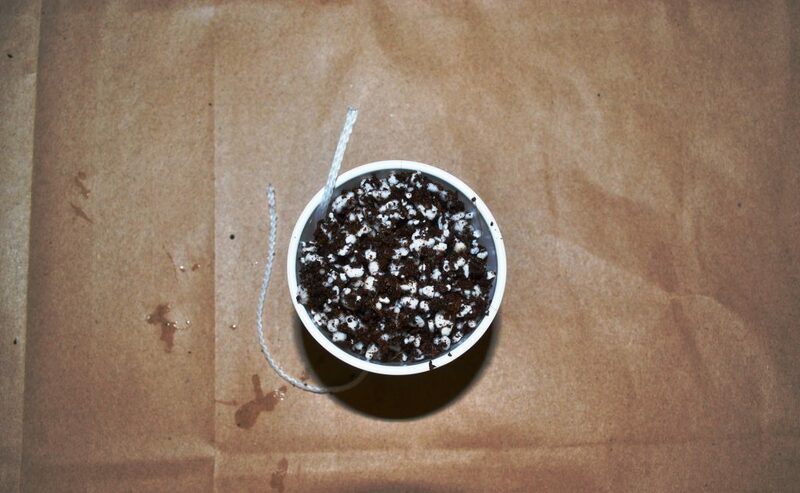 Plastic pots allow slow water evaporation from the soil as they hold water. They are also easier to clean and store, light weight and more durable. Clay pots are not suitable for water wicked African Violet plants, as they induce fast water evaporation from the soil and sides of the pot due to their porous material. As a result in clay pots the soil dries out frequently and the African Violet plant needs be watered frequently. Clay pots also readily absorb fertilizer salts which leads to accumulation of mineral deposits, especially on the rims of the pots. This can burn the leaves of the African violet plant when in contact with the mineral deposit covered rim. 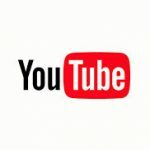 Types of reservoirs for water- wicking African Violet plants? Commercial reservoirs (which are placed under the African Violet pots) are available for the wicks to rest in and absorb water. The cheaper way is to use a plastic container, such as a small Ziploc container with two holes punched in the lid. One hole for the plant wick to go through the lid and the other hole for air ventilation. 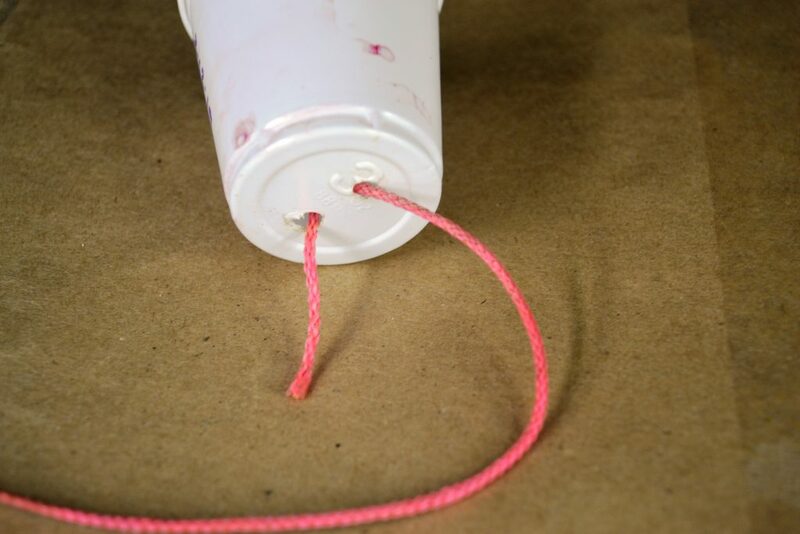 The end of the wick threaded through the lid is then extended down inside the plastic container filled with water and the violet with the lid is used to snap-close the container. The cut out hole for air ventilation can also be used to fill water in the container with a pipette and without opening the lid. Butter/margarine/yogurt containers can also be used as reservoirs. 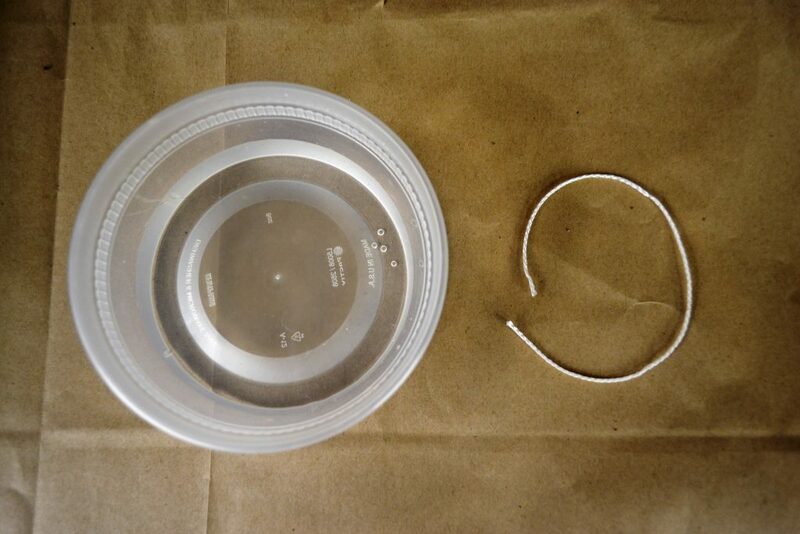 A drill bit (size 3/16”) can be used to make holes in plastic containers. Glass containers such as baby food jars or the bell canning jars can also be used. 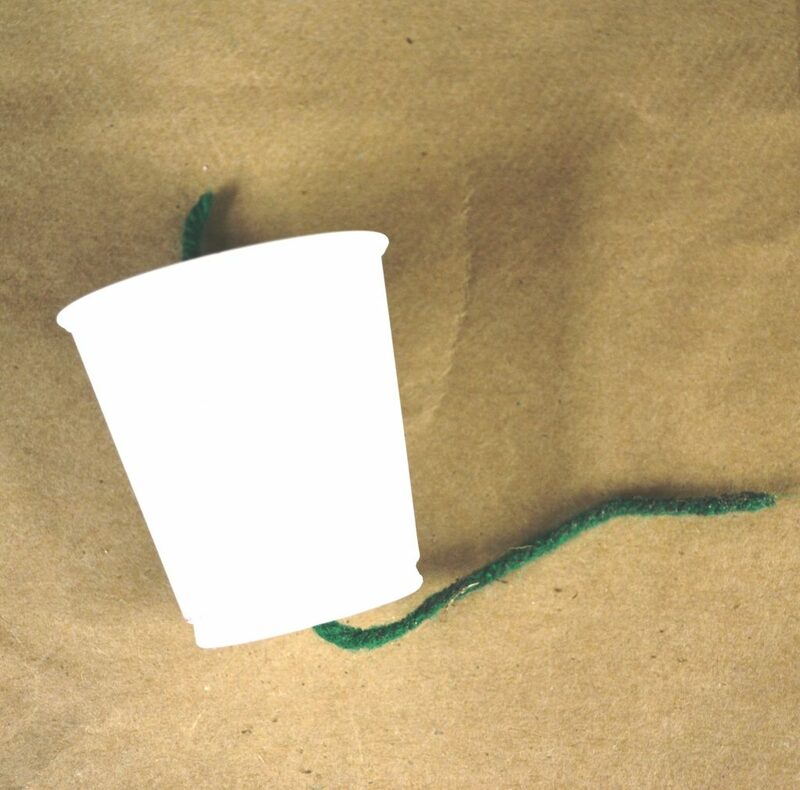 Sandwich bags or small plastic bags can be placed inside the plastic/glass jars and when algae forms or they get dirty; they can be easily removed and replaced. 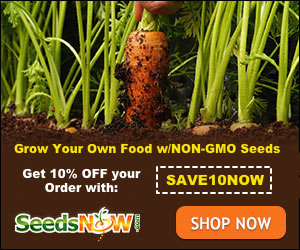 How to add fertilizer to water- wicked African Violet plants? One of the great advantages of water wicking African Violet plants is that fertilizer can be added to the reservoir water thus maintaining a constant feed of fertilizer. The fertilizer should be added at a diluted concentration, at either a half or quarter strength depending upon the size of the reservoir. At half the strength of the recommended amount. For e.g. if it says to add ½ a tsp to a gallon of water, then add 1/4th tsp instead. The reduced strength of fertilizer is added to prevent the reservoir water from becoming too concentrated over time with fertilizer. 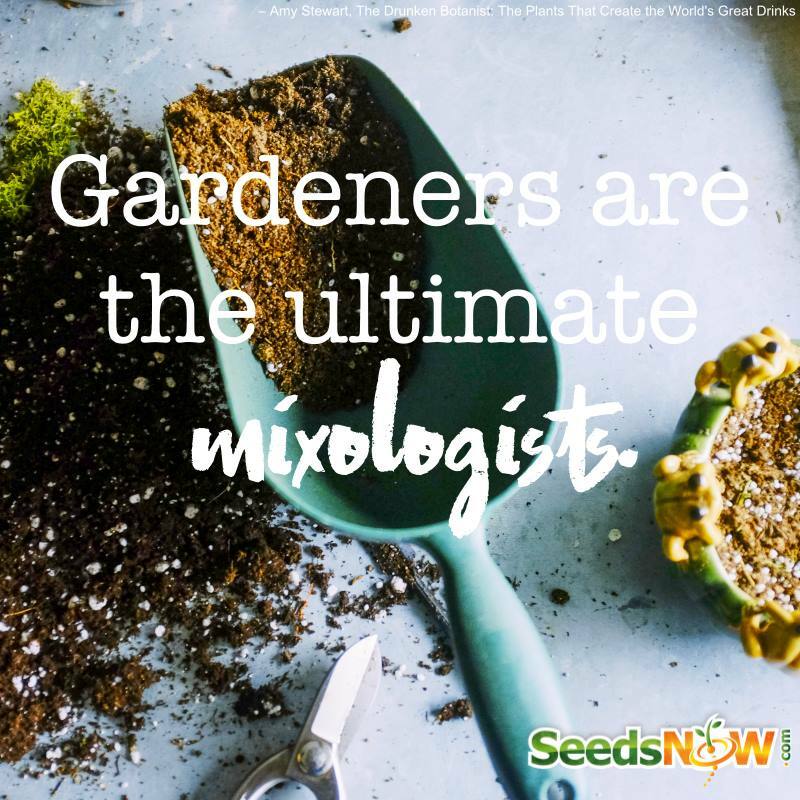 It is recommended to top water the plants every 6-8 weeks to flush out any fertilizer salts that may have accumulated within the pot. 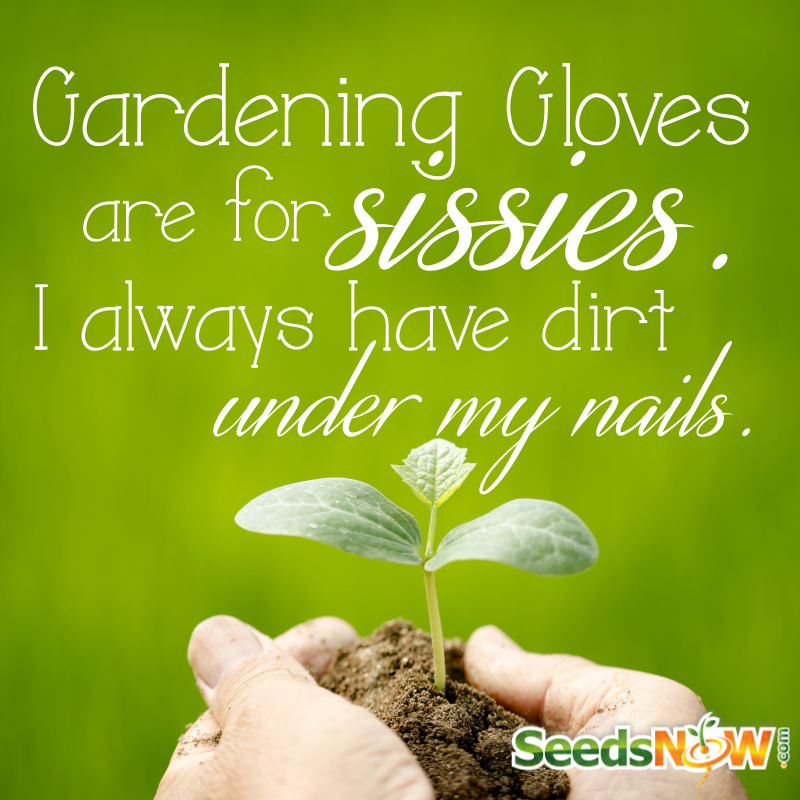 During this time, do not re-fill the reservoir or water the plant for 4-5days, allowing the top soil to dry. Then wash/clean the reservoir and re-fill with fresh room temperature water. This can be done each time the reservoir needs re-filling with fresh water. If you notice algae in the water, that is fine, it does not cause any harm apart from the unsightly look. Algae can be avoided by added an algaecide (Physan 20) to the water at the same diluted strength of ¼-1/8th tsp. When to top water wicked African Violet plants? As mentioned above, once every 6-8 weeks it is best to top water the water wicked African violet plants to flush out fertilizer salts from the root system. Allow the reservoir to dry out of water and then over a period of 3-4 days allow the pot soil to become dry also. 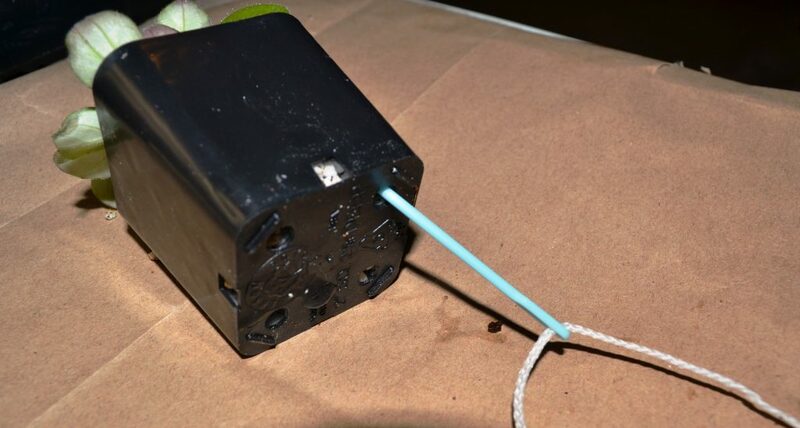 Then continue wick watering by adding fresh room temperature water to the reservoir. Fertilizer and an algaecide can also be added to the reservoir at this time.